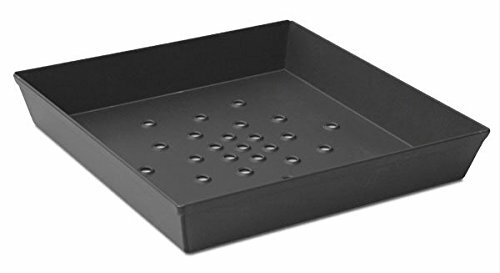 Perforated Deep Dish Square Nesting Pizza Pan. 12 by 12 inch, 2-inch deep pan. (12.25" top inside, 11.28" bottom inside) Commercial quality pizza pan with durability and performance. Hard Anodized, heavy weight aluminum with a permanent coating that will not chip, flake or wear off. Dura-Kote, LloydPans PTFE free, water-based release coating is metal utensil safe, easy to clean and heat safe to 700 degrees Fahrenheit. The Make Your Own Authentic Detroit Style Pizza Gift Set makes it easy for anyone to make Authentic Detroit Style Pizza in their own kitchens, and is perfect for foodies, culinarians and anyone who loves cooking and pizza. 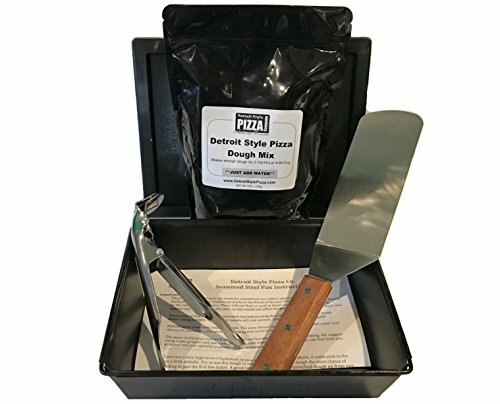 The Make Your Own Authentic Detroit Style Pizza Making Kit makes enough dough for 4 - 8x10 pizzas. The kit comes with complete Authentic Detroit Style Pizza baking directions and pan caring instructions. Simply add water to the dough mix and mix, press it into the pre-seasoned square steel pan, then add your own cheese, toppings and pizza sauce to bake a custom yet Authentic Detroit Style Pizza in your home kitchen. The best Rocker knife you can buy! great for cutting pizza! the Rocker knife that features a firm grip for safe operation, keeping hands and fingers away from cutting surface. Stainless steel construction means light weight durability and there are no crevices to trap food for dishwasher convenience. 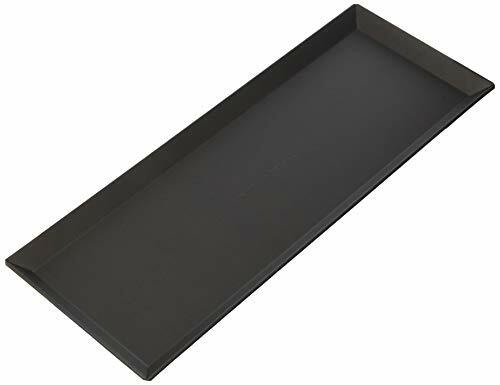 Sheet Pan Oven Roaster- This 18 by 13 inch half-sheet pan and perforated insert with nibs (or feet) gives baked foods extra crispiness and removes some of the fat from chicken wings, sliders, ribs and more! The innovative baking pan keeps foods high and dry instead of having them sit or stew in unwanted fats and oils. The results are impressive: crispier products and a cleaner oven! 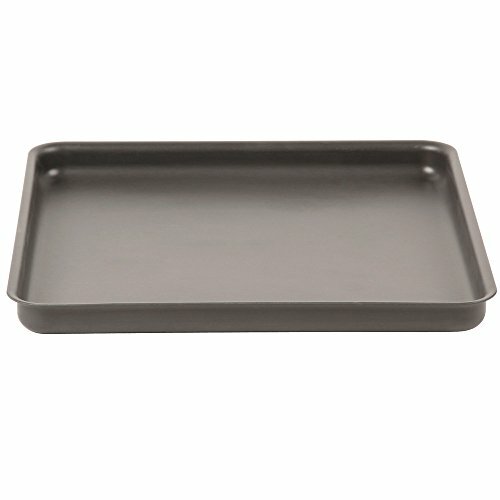 Sheet Pan Manufactured in the USA from heavy gauge aluminum, these professional baking pans (sheet pans) are a staple for every baker. 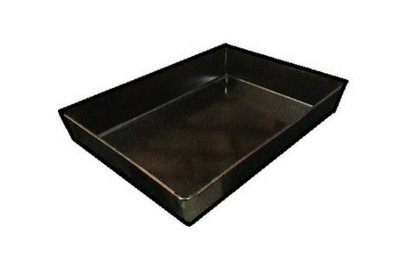 Reinforced with a heavy all aluminum wire in the rim, these sheet pans will never rust, flake, chip, or peel. Our exclusive coating minimizes cleanup, often eliminates parchment paper or sprays, and improves your baking times. A superior sheet pan! Superior Durability. Hard Anodized Heavy Gauge Aluminum. Stick-Resistant Coating for Easy Cleaning. Metal Utensil Safe (Recommended!). Heavy Aluminum Wire in Rim. 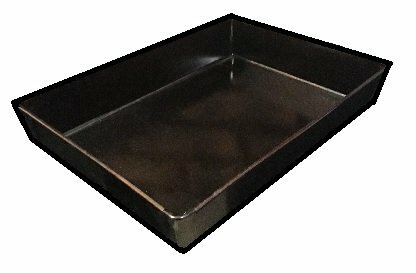 Made in the USA Roaster Insert A perforated insert with nibs or feet that fits inside the half-sheet pan. Keeps foods from sitting in unwanted grease and oils and promotes a crispy baked product. Stick-Resistant Coating for Easy Cleaning. Hard Anodized Medium Gauge Aluminum. Metal Utensil Safe..
Heavy-weight 14 ga., 1.5 mm aluminum, straight-sided. Square pans can be perforated with the same round pattern used on all perforated pans. Seamless corners and beads. Professional performance deep-dish nesting pizza pans in multiple sizes. Rolled rims for added strength and durability. Pre-seasoned, hard anodized aluminum. Exceptional durability. PTFE free, water-based release coating. Fast cooking, easy clean-up. Heat safe to 700 degrees F. Separator lids required for proofing dough. 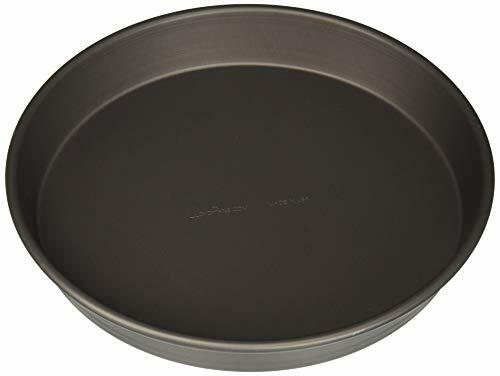 Compare to Lloyd pans self-stacking pans. Sold by the case only, 12 pans. Size: 15.75" x 15.75"15.75\" x 15.75\"